It’s a common question, and one that is sure to ignite a conversation especially between people trying to be wise with their money. Just last week we had a great post on this site from Clever Dudette describing how she keeps the grocery bill for them under $60 a week. You do have to be a little careful when you have such a discussion as you need to make sure you properly define what is meant by the term groceries. For example, I do the grocery shopping (and cooking) in our household and our grocery budget for our family of three is $150 a week. Included in that number, however, aren’t just food items. For our budget, the term groceries includes everything that we would get when we go to the grocery store including any personal hygiene products, laundry products, dishwashing detergent, and necessities for our cat. Even taking that into consideration, $150 a week may sound like a lot. I admit that it’s not very difficult to stay within our grocery budget. 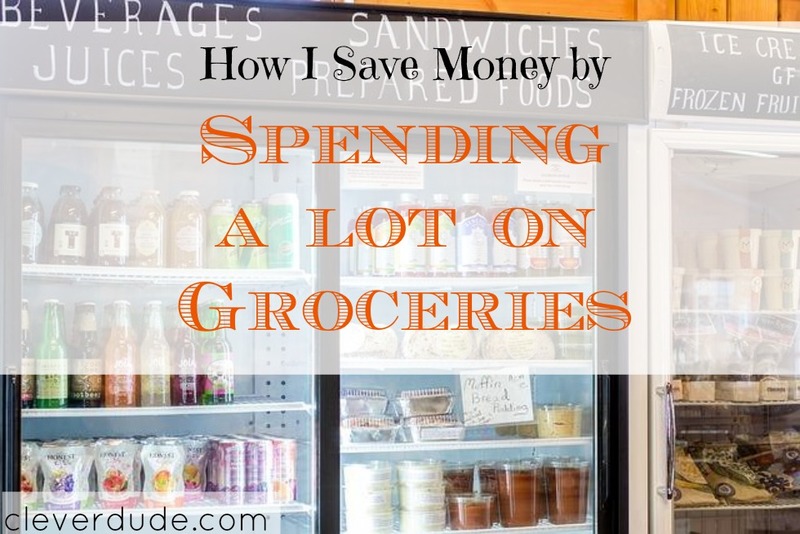 We purposefully set our grocery budget high, because I honestly believe that doing so actually saves us money. It may sound crazy, but hear me out. I can buy a box of pasta and a jar of spaghetti sauce from the grocery store for under $3. It’ll do the job as far as a meal goes, but it’s pretty bland and sooner or later I’ll give into my wife’s request to go to the Olive Garden and shell out over $60 for a single meal. I can also buy a slab of round steak for just a few dollars a pound, and throw a 50 cent baked potato into the oven. But after gnawing through that cut of meat a few times we’ll be headed to the Outback for an $80 down under family extravaganza. OR, we could make eating at home an exciting event for our taste buds. All of the listed items will definitely jazz up the meals, but will add cost to the meal, and to our grocery bill. But it’s worth it. Even though it’s more expensive, we do occasionally go out to eat for special occasions, or just for convenience. But having the kitchen stocked with food to make fun to eat meals, my goal is to eliminate the temptation of going out to eat because we’re bored with the options we have at home. What do you think, are you being too frugal with your grocery shopping? Could your home menu use a little spicing up? Sorry, Brock. 🙂 Not to harass you, but we eat WAY better than your ideal, and we spend $55 per week to feed our family of five. We eat out once per week. We eat from roughly 10 world cuisines, and we eat well over a score of different vegetables, plus tons of fruits. Last night, I was hungry at 3AM, so in three minutes, I threw together a lemon olive oil garlic sauce with toasted pine nuts and aged parm (if it’s not REAL parm and not aged, it’s not worth the bother, IMO!) to put over some pasta I had in the fridge. And that was my spur-of-the-moment-from-the-pantry solution. 🙂 Our real meals are far yummier! I live on the East Coast, which is one of the most expensive areas in the US, too. You’ve got to shop strategically. 🙂 That’s all! Oh and with nonfood items, I spend $65 per week. 🙂 This is without coupons–I’m too busy to cut them right now. @Jenny – no harassment taken! 🙂 The examples in the post are just that….examples. The point being that you can make something really simple and inexpensive, and it may bore a family to death and make then itch to do something (like go out to eat) that would be more expensive. I will mention that “yummy” is subjective. Although that being said, given previous comments you’ve left I dare say I wouldn’t mind taking a few pages from your skill set in the kitchen (and the grocery store for that matter) as it seems you’ve found a fantastic blend of inexpensive and yummy. I agree with Jenny! As a registered dietitian, I strive for healthy and cost effective meals for me and the Dude. I haven’t even begun to talk about how many ethnic, spicy, tasteful, and nutritious meals I can make budget friendly….more to come on that topic…. @Clever Dudette – Definitely looking forward to it! I definitely try and strike a balance. Before, I was trying to just buy all the cheapest things I could – but that backfired, a) because that kind of diet was totally unhealthy and b) because it’s mainly the same things that go on sale every couple of weeks. So now we spend a little bit more on our grocery bill than before, but we also have a lot more balance. And I’m okay with that. @Melissa Solid point, Melissa – Balance is the key in pretty much everything. Sure, a person can stop eating out completely, but if they then decide to eat filet mignon and lobster every meal they probably won’t save much. We tend to have one or two “special” meals that have ingredients that cost a little more. The rest of our meals are on the frugal side. Thanks for sharing your perspective and experience!